With the Greeks getting rowdy in the evening, the market was somewhat spooked, with the VIX climbing from an intra low of 12.81 to a high of 13.97, but settling -1.0% @ 13.23. Near term outlook offers the price gap zone of sp'2080, which should equate to VIX 15/16s. *its possible we saw some of the usual closing minute 'games', with the VIX knocked lower from the intra high of 13.97 to 13.23. It would seem we have a short term low of 12.81... and are set to battle upward into the 15/16s.. probably before the weekend. The big 20 threshold looks out of range in the immediate term. *I am long VIX from 12.92, am seeking an exit in the 15/16s. *closing hour certainly saw some weakness, but nothing significant. 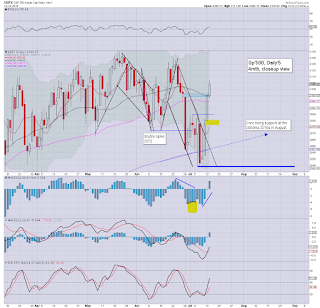 So.. the Greeks helped break the market lower, and the initial wave from sp'2044 is likely complete. By late Thursday, rising trend will offer support around sp'2085... so a gap fill around 2080 won't be easy.. but is somewhat more likely than not. If sp'2080s... that will likely equate to VIX filling the price gap in the 15/16s. *I hold long-VIX overnight... seeking an exit in the 15/16s. 4.04pm.. INTC beat... stock soars..
EPS 55 cents vs 50 exp. Rev' beat. Nothing bearish there. NFLX, EPS 6 cents vs 4. rev. missed.. So.. yours truly decided to drop INTC ahead of earnings yesterday (fractional gain), and has missed out on a 200% options gain. I suppose it could be worse.. I could have been short it. 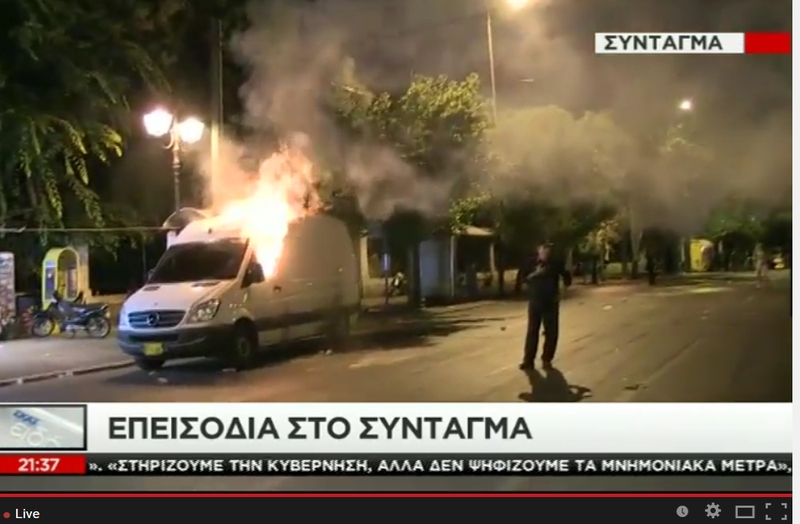 It is late evening (10pm) in Greece, and the locals are getting real upset again. Bailout'3 is only provisionally agreed, and it remains the case that a great many things still need to get passed in a number of EU parliaments. Mr Market is not going to be pleased if things get particularly rowdy this night. *awaiting earnings at the close from NFLX and INTC. If I had to guess, both will come in okay... but they face a market that is set to see a moderate retrace across the remainder of this week. We have clear breaks of trend.... and the price gap zones are very clear.. with sp'2080... and that should equate to VIX 15/16s. Stay sharp... this closing hour could be pretty exciting. 3.09pm. Notable weakness: miners, GDX, breaks the Nov' 2014 low... following Silver... with Gold set to follow. The strong dollar is obviously a major cause. 3.12pm.. I am currently long VIX... if I see anything >14.30 or so into the close, I will probably close out for a day-trade.... and start afresh tomorrow. 3.18pm.. a little chop... but should see renewed weakness into the close... as some as concerned about the Greek parliament vote outcome. 3.32pm.. nano sized bull flag on the VIX... offering mid/upper 14s by the close... is so.. I'll likely close out. 3.41pm.. micro chop... with a VIX 13.70s.... not enough for me to merit an exit today.. will hold overnight.. still seeking 15/16s. *the two leaders - Trans/R2K, are already red, both lower by around -0.3%, and are probably warning of trouble for other indexes tomorrow. ... lets see how the algo-bots react to a few pages of fedspeak on the US economy. 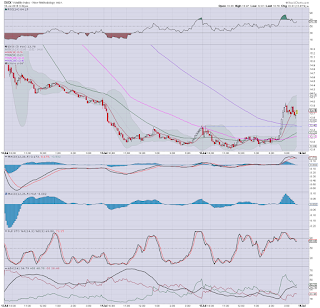 notable weakness, oil/gas drillers, RIG -3.4%, SDRL -4.5%.. as energy prices under pressure. US equities are increasingly choppy, ahead of the latest Fed Beige book (2pm). Hourly equity/VIX cycles continue to favour the bears. 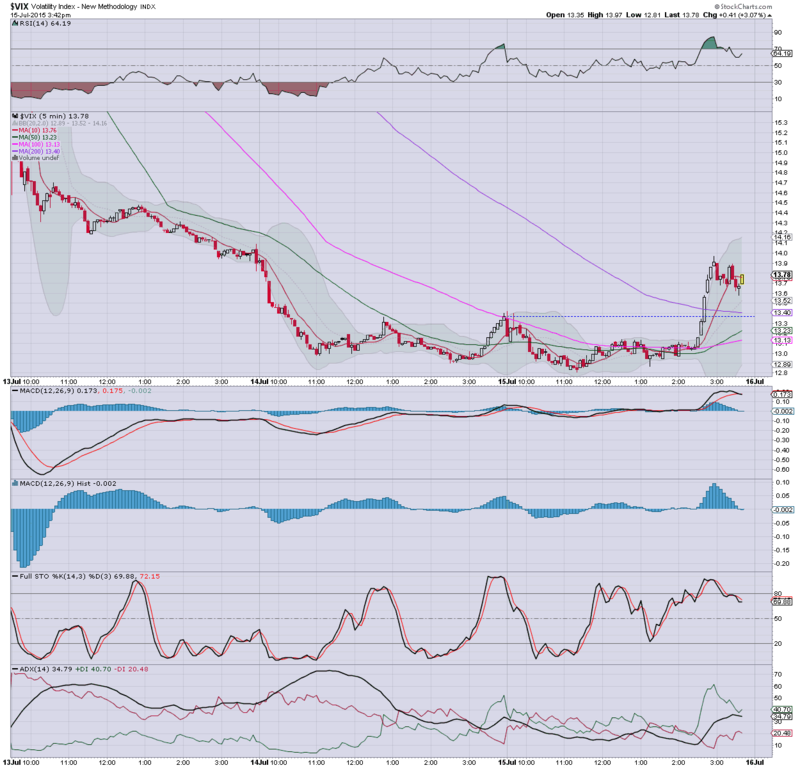 USD is holding gains, +0.5% in the DXY 97.10s, around upper resistance for what is a giant bull flag that stretches back to the mid March high of DXY 100.71. Metals/Oil are naturally under pressure. *the strong dollar remains a key issue, and I'll likely cover that more after the close. Suffice to add... if I'm right about DXY >100.. and eventually the 120s.... it bodes badly for the precious metals and Oil... along with their related stocks. The market remains close to the earlier high of sp'2114. Only a daily close <2100 would offer some clarity that further downside is due tomorrow to the 2090/80 zone. Sustained action <2070 looks out of range for some weeks. *I remain long VIX... seeking the 15s before the weekend. 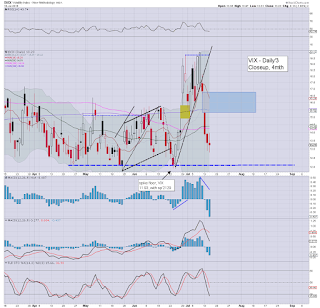 That does not seem an overly bold target, with the VIX having cooled from 20.05 to 12.81. Fed chair continues to babble on, with the US equity market holding minor gains. The market remains due a down cycle, having climbed from the double floor of sp'2044 to 2114, with VIX cooling from 20.05 to 12.81. 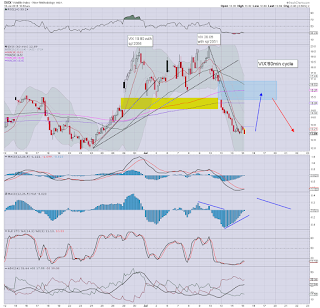 A moderate wave lower to sp'2080 with VIX 15/16s, still looks probable. There is clearly the threat of another minor lunge higher to the gap zone of 2117/19... but regardless of that.. I'm still reasonably confident a retrace is due. *holding short the market, via VIX-long. *I just this past hour went long VIX from 12.95. Seeking an exit in the 15s. With the Yellen continuing to babble on .. at least for another hour... the market is pretty subdued. The Greek parliament will be attempting to pass more bailout legislation later today... if that doesn't go smoothly.. it will be a real problem. 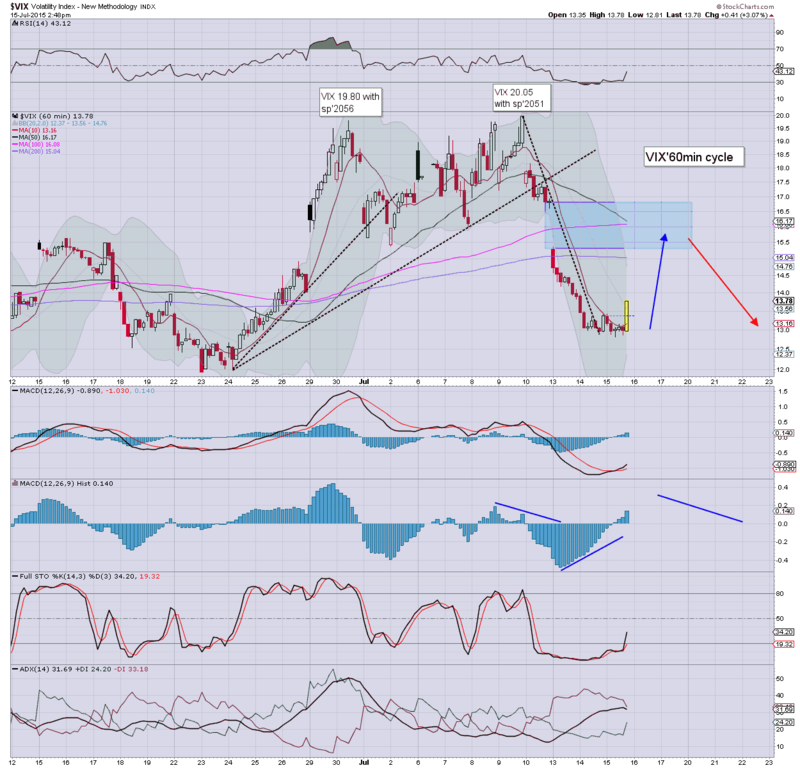 notable weakness: SHLD -3.6%... having been cut in half.. 44s to 22s across just 4 weeks! 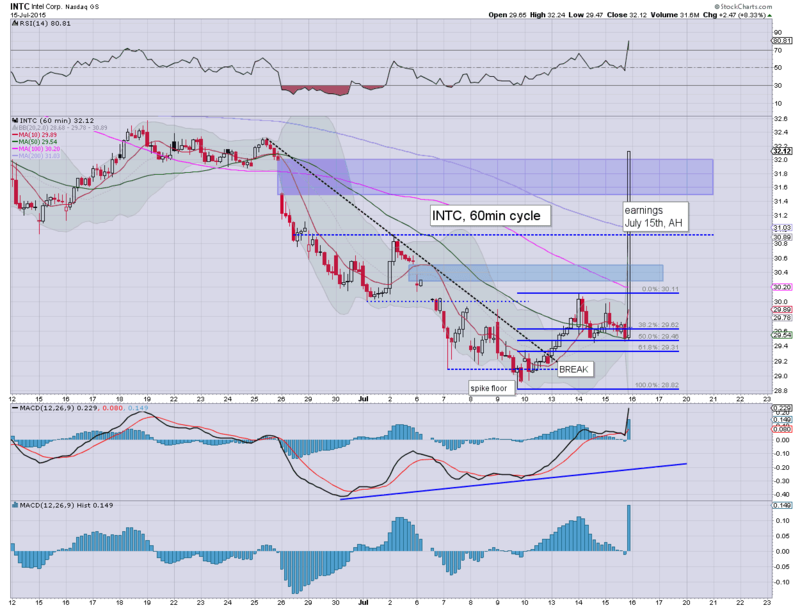 INTC +0.1%.. and relative to the main market recently.. its really struggling. Considering that it already failed to hold the key $29 threshold... a big Thursday gap lower is viable. As it is... I consider it overly risky to trade... and am going to leave it alone. Would only consider a short from 31.75/32.00 in August.. but that might simply not happen if market is upset at Q2 earnings this afternoon. US equities open with some minor mixed chop. The hourly equity/VIX cycles are both offering turns, with building equity downside across the day.. and seemingly likely into Thursday. Primary downside target is sp'2080, with VIX 15/16s. With the rising USD, +0.4% in the DXY 97s, metals and Oil are under increasing pressure. 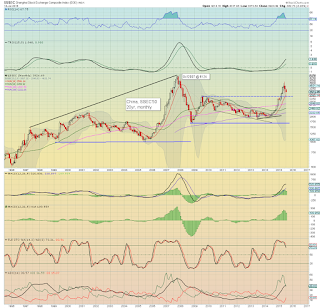 *there is a great deal to cover as the USD breaks back into the DXY 97s, which is really causing problems for the precious metals, with Gold in danger of breaking the Nov' 2014 low of $1130. strength: INTC +0.8%... as speculators appear ahead of earnings. Personally, I don't like the setup.. and will leave it alone. 10.05am.. Hourly equity cycle set to get a bearish MACD cross within 30/60mins.... should see sp'2100 threshold tested by the time Yellen concludes. I realise some are seeking 2115/20 zone... but it looks difficult. before 2080. 10.21am... Want to play the 'Transitory drinking game' ? So far... I've only noticed one. As ever.. in Fed land.. everything is transitory. 10.25am.. the longer Yellen speaks.. the higher the risk of her saying something Mr Market will get upset at. Hourly cycles are absolutely clear... the setup increasingly favours the bears today.. and into early Thursday. 10.50am. 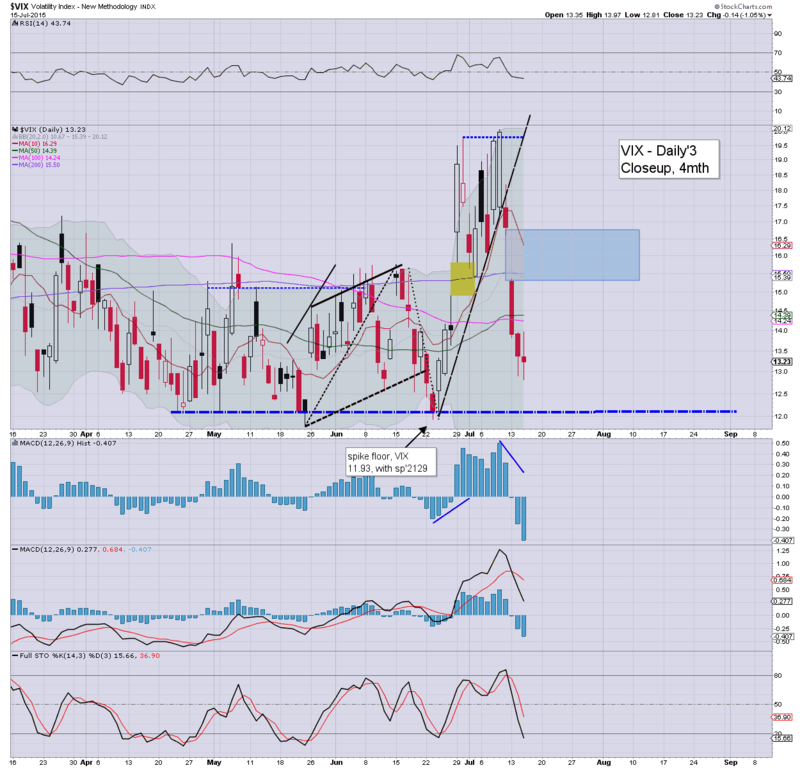 LONG-VIX.. from 12.95..... I am seeking the 15s. Good morning. Futures are a little higher, sp +2pts, we're set to open around 2110. US equities will likely be increasingly weak across the day, with a primary downside target of sp'2080, with VIX 15/16s. USD is flat.. as are the precious metals and Oil. A busy day is ahead... with Yellen due to appear at 10am. From a pure cyclical perspective, the hourly equity and VIX cycles are suggesting the market is going to get increasingly upset today. 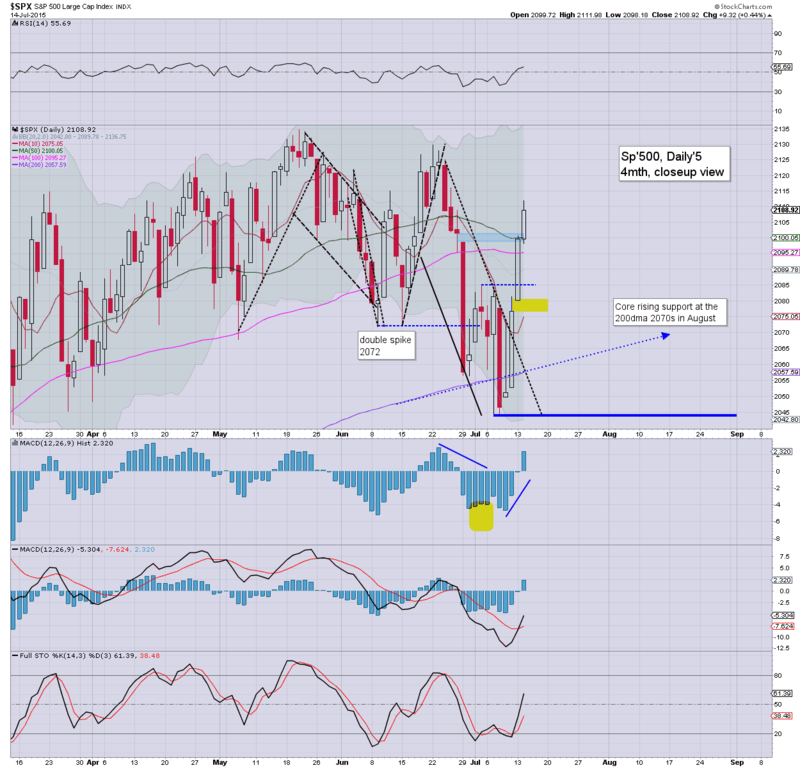 Primary downside target is the micro gap around sp'2080.. along with VIX 15/16s. *don't forget, there is a fed Beige book at 2pm, and the algo-bots will very likely react to that. 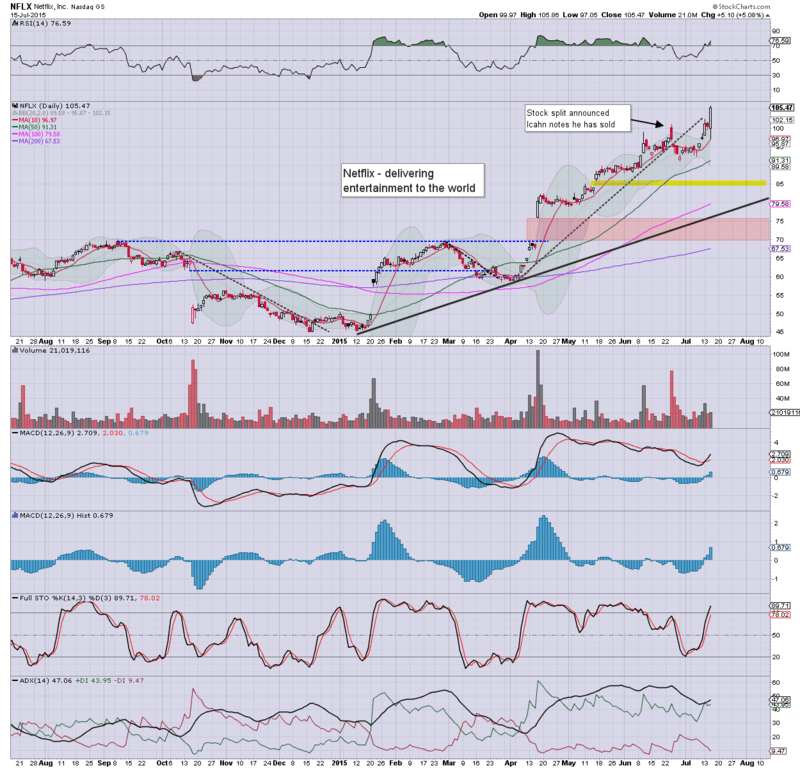 notable strength: BAC, +3.0% in the $17.60s... post earnings. 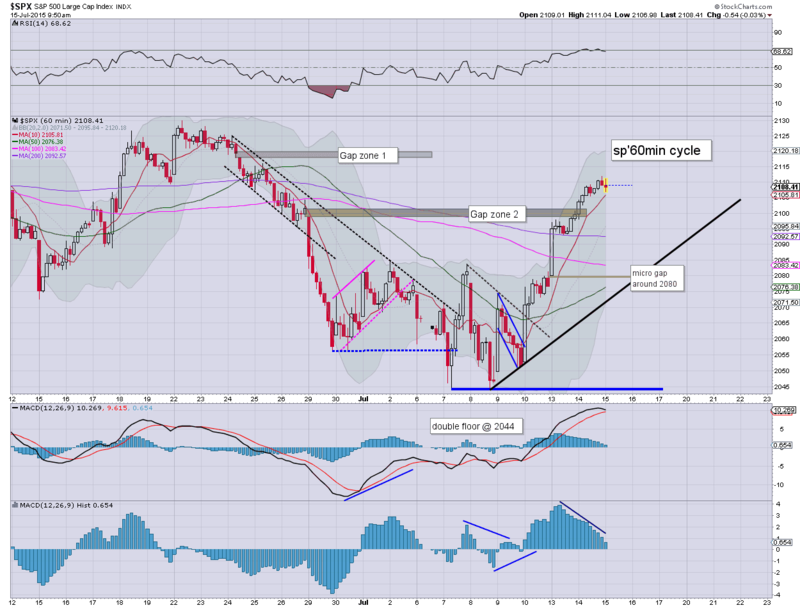 The $18 threshold remains key... and I don't think it can break/hold it in the current cycle. weakness... FXI -1.2%,... as the China market cools. 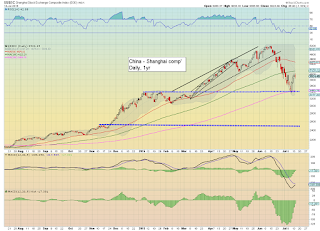 Overnight China action: As expected, Chinese equities are starting to slip, settling -3.0% @ 3805. The low 3700s look due... before resuming back >4K.... and then getting stuck around 4400. 8.31am.. Somewhat bizarrely, a Yellen press release detailing her opening remarks to the US house has already just appeared. sp +2pts... still set for 2110. 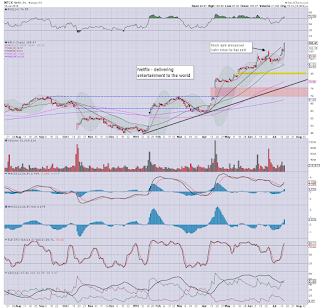 INTC not looking so great @ $29.60... with earnings at the close of today. 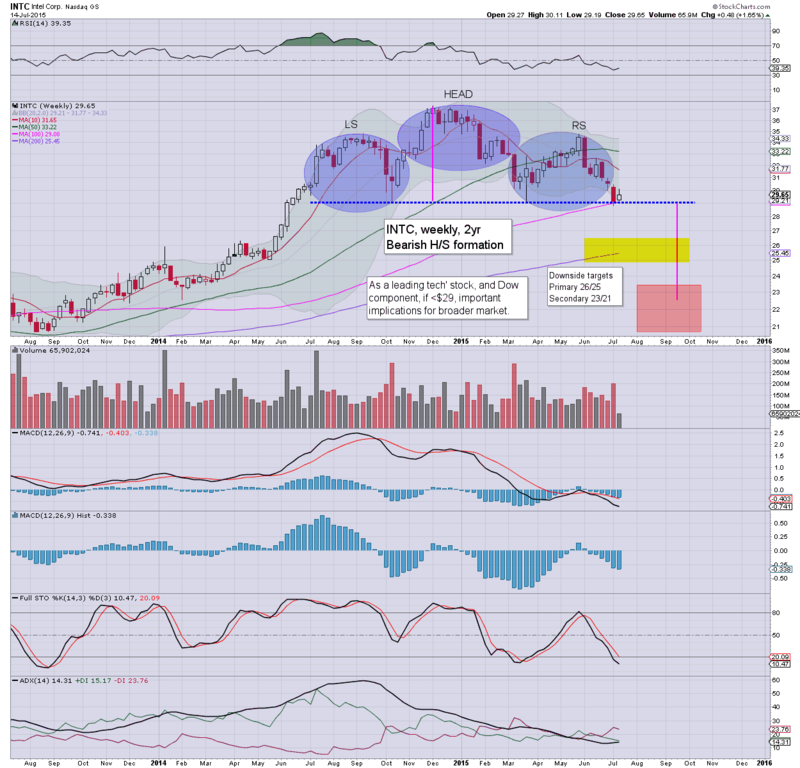 If the main market rolls lower... INTC will be in real trouble for the Thursday open. As it is... I am likely going to stay out of it. The primary trade - at least from my perspective, is as a short... but preferably from higher levels.. and not for another few weeks. Certainly though... it'll be one to watch in AH. 9.11am.. Transports having issues... DAL -2.5%, with UAL -1.3%.... leading the way lower... main market looks set to follow. 9.21am.. With USD building gains, Oil/metals are starting to slip, Gold -$8, with Oil -0.8%.... that sure won't help energy or resource stocks. 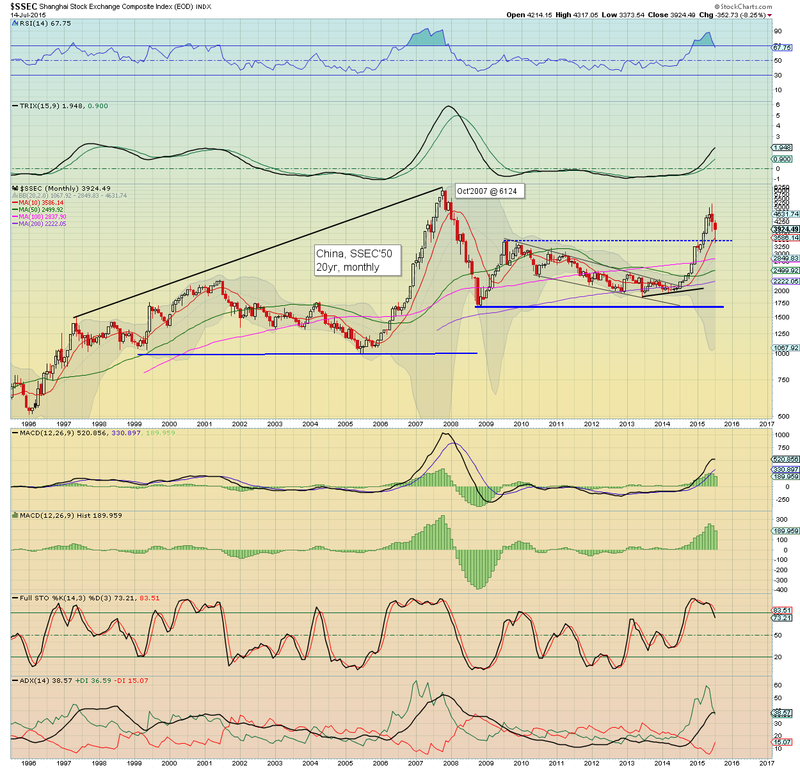 .. and eventually.. DXY 100 will be re-taken... with a straight run to the 120s... and that has a great many implications. 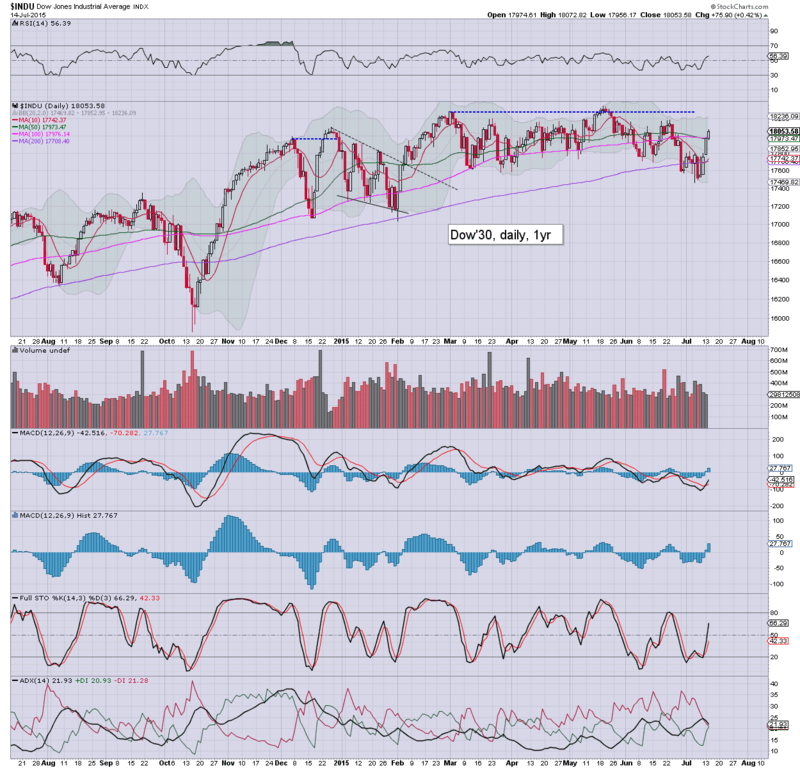 ... sp'500... back to flat.... 2108. 9.28am.. Gold @ $1145... .a mere $15 from breaking the Nov'2014 low. Keep in mind.. Silver has already broken that equivalent level. Gold is surely headed to the giant $1K threshold. Chinese equities saw a relatively moderate Tuesday decline of -1.2% @ 3924, having briefly broken back above the 4K threshold. 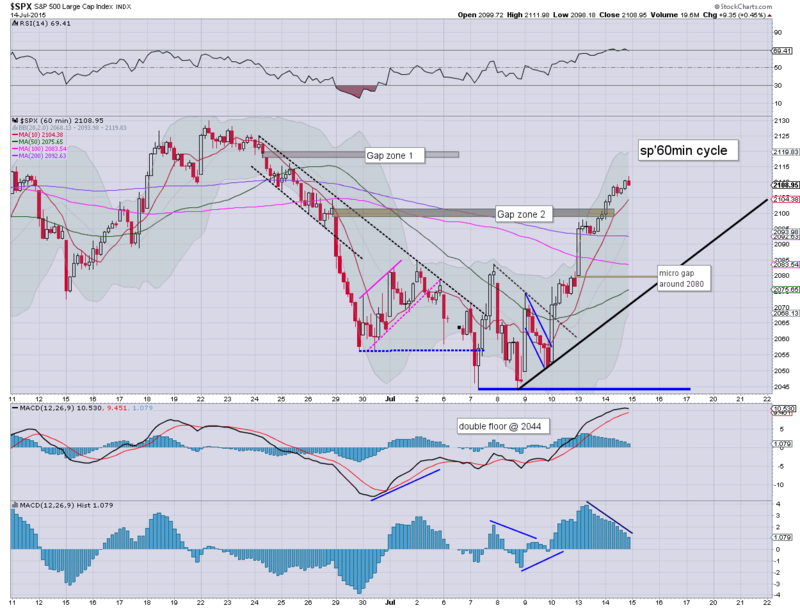 Near term outlook offers a further 5% retrace to the 3700s, before battling upward to the 4300/500 zone. 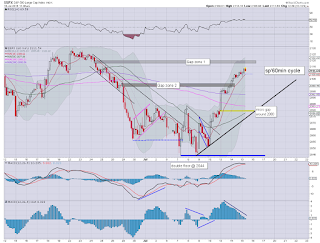 From there, renewed powerful downside to the 3200/000 zone. More than anything, it will be fascinating to see how the Chinese leadership react to another wave lower in August/September. 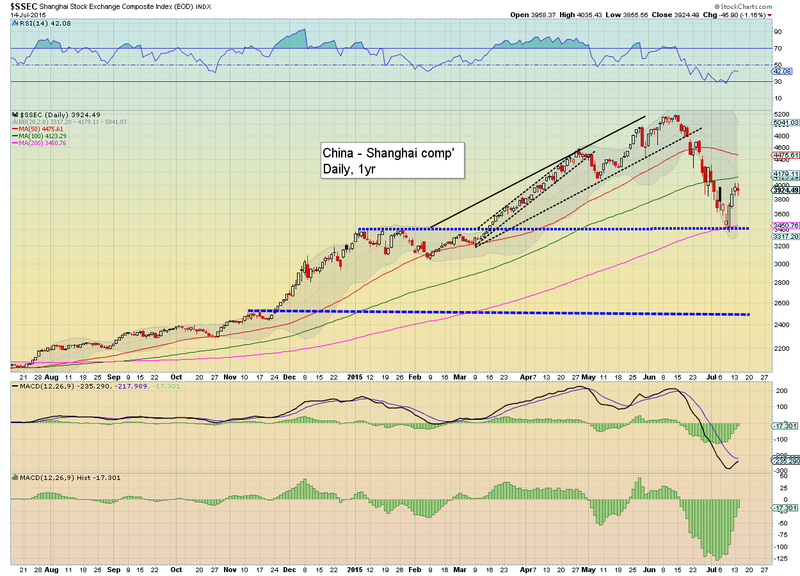 If the Shanghai comp' breaks the recent low of 3373, will they simply shut the entire market for a week or two? One thing is for sure... it remains one of the more dynamic markets to watch for 'entertainment purposes'. Wednesday will be busy... not least with Fed chair Yellen set to address the US House Financial Services Committee. That will begin at 10am.. and probably last until around 1pm. There will be the usual blanket coverage across clown finance TV. Data points: PPI, Empire State, Indust' prod', Fed Beige book (2pm). I am a major fan of the company, but from a pure technical perspective, INTC is in real trouble. 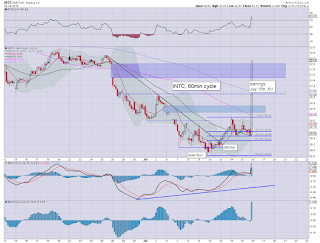 INTC briefly lost the $29 threshold last Thursday... thus completing an essentially perfect H/S formation. They really don't come any cleaner. 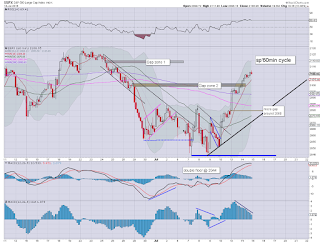 A move to the 26/25s appears due between now and early October. Ideally, the H/S formation is suggestive of $22.50... but I realise that is an extremely long way down. As an aside, if INTC is in the $22s by early October.. what would that mean for the sp'500, the mid/low 1800s, with VIX in the 30s? 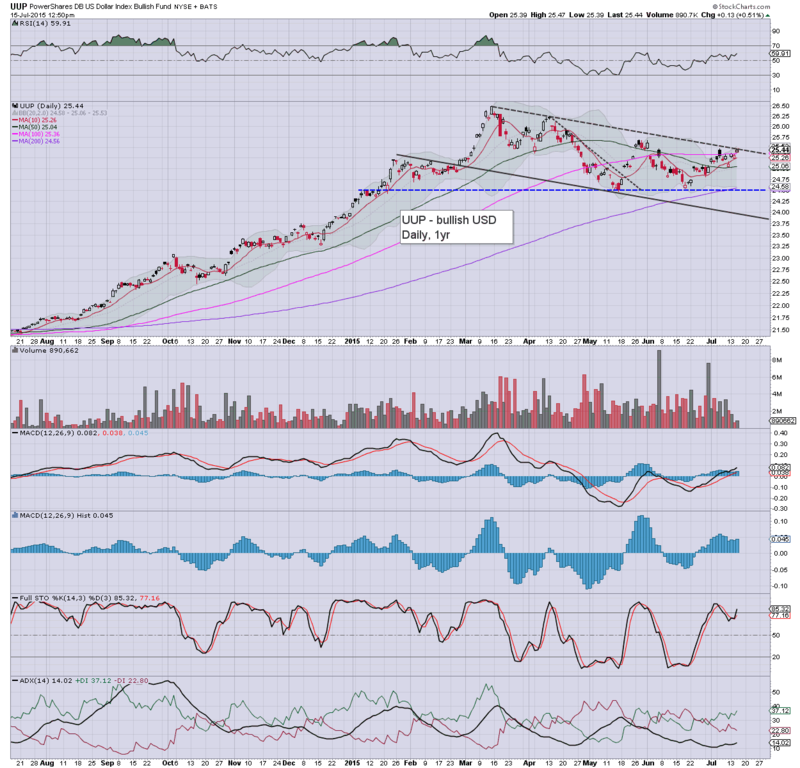 *I exited INTC-long this morning from $29.90. Price action is increasingly bearish.. and if there is sustained action <29.30 tomorrow, it would be suggestive of a gap down to the $26/25s at the Thursday open - post earnings. As it is... considering the broader market... if I had to take a trade.. I would still go long.... but I consider that overly risky. Instead, I will probably sit on the sidelines, and merely seek to short INTC in the $31.75/32.00 zone in early August.. if it gets there. 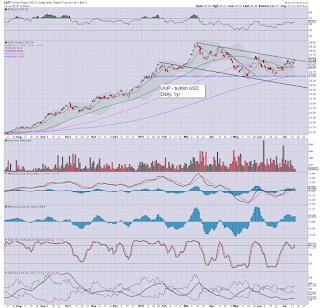 In any case... it does look like it will be possible to pick up INTC in the mid... or low 20s by early October. 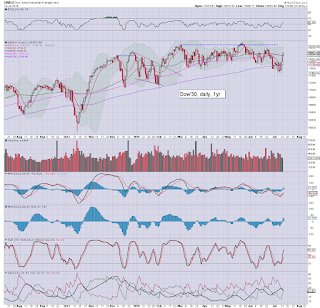 US equities closed moderately higher, sp +9pts @ 2108 (intra high 2111). The two leaders - Trans/R2K, settled -0.1% and +0.6% respectively. Near term outlook is offering a wave lower to around sp'2080... along with VIX 15/16s. From there, renewed upside into next week.. and probably all the way into early August. Regardless of any weakness across Wed.. or even into Thursday, the market looks set to battle upward into next month.